There were record-breaking levels of illness, hospitalization rates and deaths in children. Pediatric deaths totaled 180 … Only the 2009 swine flu pandemic, which killed 358 children, was worse since health authorities began tracking child deaths from flu 14 years ago. … Among the child deaths reported to CDC last season, about 80 percent were in children who were not vaccinated. More than one-third occurred among children between 6 months and 4 years. Flu vaccination coverage for that group was 67.8 percent, which was lower than the 70 percent reported in the previous season, and about the same as it was five seasons earlier. Roughly 900,000 patients required hospitalization for flu and its related harms, the CDC reported. That was twice the norm even in many bad flu seasons. Public health officials expressed exasperation about trying to persuade the public to get flu shots, especially as skepticism about them persists, along with extreme and counter-factual “anti-vaxxer” views. A preliminary estimate showing last season’s vaccine to be about 36 percent effective overall may have convinced some people not to bother … A final estimate shows the vaccine was about 40 percent effective in reducing a person’s risk of becoming sick enough to need to see a doctor. It was about 67 percent effective against one of the influenza strains last year, meaning that of 100 kids lined up in a gym, if all of them got a flu shot, 67 of them wouldn’t get the flu if a sick child coughed on them. For seniors, who can be vulnerable with chronic conditions to the strain of fighting the flu, immunization against the infection has other beneficial outcomes, too, such that, “getting a flu shot is as effective at preventing a heart attack as quitting smoking, taking cholesterol-lowering drugs or taking blood pressure medications,” the Washington Post said, adding that it can be particularly damaging to the elderly if they lose their independence and mobility when debilitated by flu. In my practice, I see the harms that patients suffer while seeking medical services, and the benefits they can reap by staying healthy — and away from injury or death due to medical errors in treatment by doctors and hospitals. These kinds of mistakes, many preventable, claim the lives of roughly 685 Americans per day — more people than die of respiratory disease, accidents, stroke and Alzheimer’s. That estimate comes from a team of researchers led by a professor of surgery at Johns Hopkins. It means medical errors rank as the third leading cause of death in the U.S., behind only heart disease and cancer. It’s unacceptable that Americans think they’re in some kind of medical casino where they can gamble on health risks for themselves and everyone around them, and they fail to consider their shared responsibility, including by getting shots they need. 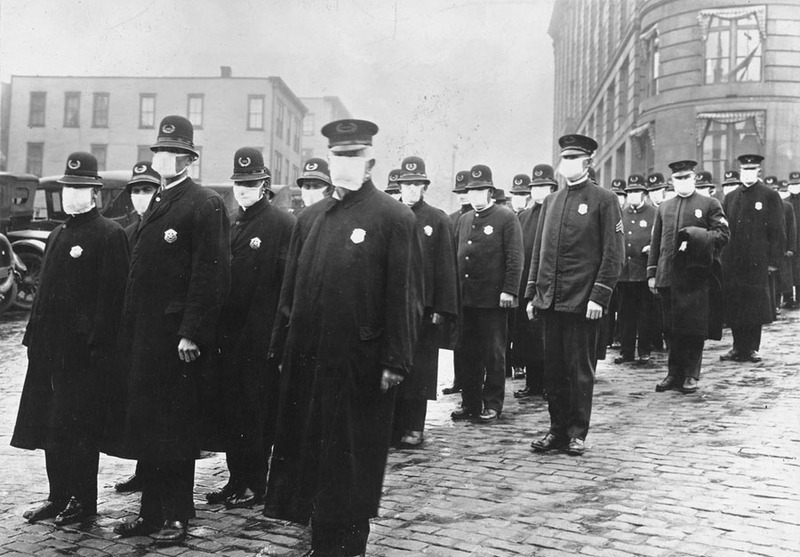 We’re hitting the centennial of 1918-19 Spanish flu pandemic, the worst such global outbreak that cost the lives of 50 million to 100 million. Part of how vaccinations get even more effective rests in “herd immunity,” which is how inoculations multiply their power when more members of a group get them and thereby reduce infections’ risks for all around them. Please get the recommended regimen of shots for yourself and your loved ones, and encourage your friends and work colleagues to do so, too. If you’re sick, please stay home. If your kids are ill, it may not be easy, but please keep them out of school. A fraction of us may suffer harms from shots, but that is far outweighed by the scientifically proven public health good of vaccination adherence. Indeed, anti-vaxxers — sadly encouraged by political partisans — have become extreme in holding to a risky position, unsupported by rigorous fact, and based in belief alone. They’re associated now with political extremism. Here’s hoping that some collective common sense will grip populations around the globe, so they — and we — get vaccinated, and we never need see the return of grisly pandemics.